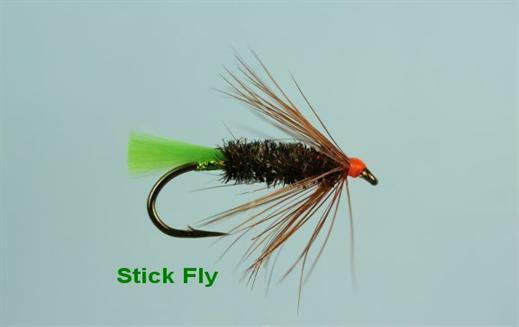 The Stick Fly is an Attractor Pattern that works well in most stillwaters. It was originally created to mimic the lava cycle of sedge flies and is a good alternative to the Diawl Bach. Currently there are no comments about the Stick Fly fly pattern from other fly fishermen yet.